Pinto Brasil appeared in 1991 and since then has dedicated its activity to the development of technical solutions to satisfy the customer’s needs. Specialized in metalworking and highly oriented to the automotive industry, Pinto Brasil meets the highest demanding standards, thus being a preferred supplier to some of the largest companies in automotive industry. The company operates in the design of production systems, intralogistics and outsourcing, guaranteeing a wide portfolio of solutions, which respond to the needs of its partners. Pinto Brasil gives all its attention to the customers e their needs throughout its experience and specialized know-how, high flexibility and degree of adjustment to provide more appropriate solutions to the required needs by the constant investment in the personal and innovation field of development. The commitment to research and development is one of the pillars of sustainability of the organization. The focus on the creation of cooperative relations in R & D activities, together with scientific entities, customers, suppliers and other third parties, ensures a long-term sustainability with regard to the reliability and integrability of the solutions. Pinto Brasil develops and manufactures various systems, according to the needs and requirements of its customers. That said, customer follow-up is essential, not only in the prototyping phase, but also in the different stages of validation and execution, to ensure that the order is fulfilled within the stipulated deadline and according to the required specificities. Foundation of Pinto Brasil S.A. Expansion of productive area to 1000 m2. Expansion of productive area to 3000 m2. Expansion of productive area to 4000 m2. Conclusion of new headquarters in Portugal. New headquaters in Guardizela, Guimarães. Expansion of productive area to 12000 m2. Expansion of productive area to 20000 m2. The mission of Pinto Brasil is to give answer to specific requirements, throughout personalized solutions, in which gives privileges the ease of use and the user security, bearing in mind a greater productivity and increased quality. To be among the major players of the market and be recognized as a pioneer company in technology, thus honouring the quality of its products and the commitment of excellence with its customers. People’s engagement, integrity, coherence, ethics, professionalism and trust along with team work, will lead to pleased and happy people, who are committed and with the due feeling of personal value. Our customers are the reason why we exist and we daily work for them. Our aim is to satisfy their needs with a high level of confidence and professionalism. What lead us to the future are our values not our past successes. We outline strategies that strengthen our organization and build the foundations of sustainability, in order to meet stakeholder’s satisfaction (building shareholder’s profitability and ensuring respect for life quality, environment and society). The assurance of the best commitments to our clients makes us an organization capable of creating needs, a reality through continuous innovation with creativity and quality, always trying to overcome market’s expectations. The group is constantly concerned to the active contribution towards the society we live in. 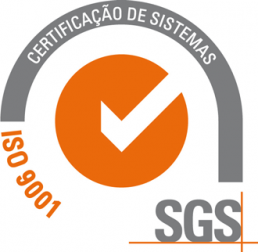 Pinto Brasil is a certified company according to normative reference NP EN ISO 9001 (Quality Management Systems) and is prepared for the challenges of the future. The investment in creating new products and technology without losing sight of the commitment with quality and tradition makes Pinto Brasil a solid and respected company in its business area. Clients’ satisfaction is a main priority and certification is seen as a way of assessing needs, increasing productivity, motivating employees and provides a balanced relationship with the environment, security and good work conditions. This is achievable with the cooperation of everyone. Loyalty and reliance are two important landmarks; therefore our customers place their confidence in Pinto Brasil. It is possible by increasing the customer’s satisfaction as well as continuous innovation and technology.